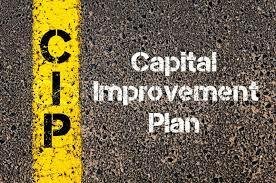 The Capital Improvement Advisory Board (CIAB) assists the Community Development Department in the development of the Mayor's five-year Capital Improvement Plan (CIP). The CIP shall set forth the schedule for land acquisition, utility expansion or replacement, and major building projects for the next five years. The program shall include an explanation and cost projection for each item as well as expected funding sources for each item scheduled for the current year. In the course of preparing the CIAB, the Community Development Department shall contact all city agencies and departments to solicit project proposals. The Mayor shall annually submit the updated Capital Improvement Program to the City Council for its review and recommendation. The Board has 7 members, each serving a 3-year term. Please contact the Mayor's Office if you are interested in serving the community as volunteer on this Board. Agendas are available prior to Planning Board meetings. Meeting results are also available following approval.